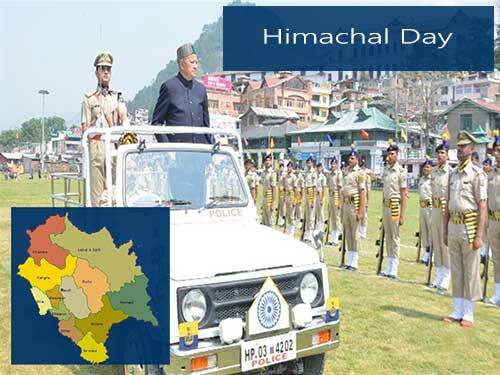 Himachal Pradesh is celebrating 70th “Himachal Day”. The hill state and one of the most beautiful states was formed in 1948 after the 30 odd princely states were merged into one state. Himachal Pradesh’s capital income in 1948 was Rs. 240 crores and State Gross Domestic Product was Rs. 26 crores. Himachal Pradesh has developed a lot over the years. As per Times of India, now the capital income is Rs. 1,47,277 and the state gross domestic product income is Rs. 1,24,570. Himachal Pradesh’s literacy percentage has also increased in the last seven decades from 7% in 1948 to 83.78% now. Himachal Day function was held in Chamba this year. Virbhadra Singh, the chief minister of Himachal Pradesh presided over the function. Virbhadra Singh said that it is a huge achievement that Himachal Pradesh has progressed a lot since 1948. He said that Himachal Pradesh is also the leader of hill area development in India and also one of the fastest growing economies. 1. HP had electricity only in 6 villages when it was formed and only 331 villages had drinking water facility. But now, every village of Himachal Pradesh have piped water facility and electricity facility. 2. There were hardly any schools and health institutions then. Now, HP has a government school within a radius of 3 km and health institutions on almost every corner. 3. Good roads are a must when it comes to development and for a smoother drive. 3138 panchayats out of 3226 total panchayats in Himachal Pradesh are connected with motorable roads. It is expected that the remaining 74 panchayats will also be connected very soon. 4. The government will be spending Rs. 2238 crore during the current financial year for providing potable water to every house in Himachal Pradesh. Irrigation facility is also provided to the agricultural fields. 5. The government has spent Rs 922 crore on the Swan Channelization Project in Una district, Rs. 180 crore on Chhonchh Khad Channelization Project in Kangra district. Rs. 837 crore project has also been approved, the project will be providing 24-hour water supply to Shimla. 6. Himachal Pradesh’s 70% population depends on agriculture for their living. Rs. 1134 crore has been funded by the World Bank for the Horticulture Development Project which would help in increasing the production of good quality fruits.